THEY came, they saw, they conquered. Now the Romans are back in Falkirk district. Talks, walks, movies and other fun events have all been lined up for this year’s Big Roman Week. Community groups and public bodies from Bo’ness to Bonnybridge are taking part in the mini-festival, which launches this weekend (from Saturday, September 15, 2012). Organisers hope the variety of activities, mostly free of charge, will encourage more people to find out about local history. The nine-day event has been organised to mark the birthday of Emperor Antoninus Pius, the Roman leader who ordered the construction of the Antonine Wall from Bo’ness, right across Falkirk District, to Old Kilpatrick, near Glasgow. The turf-based Wall was named a UNESCO World Heritage Site in 2008. This year there are events in Bonnybridge, Laurieston, Westquarter, Polmont and Bo’ness. Organiser Bo’net has joined forces with a range of bodies, including The Helix, Falkirk Community Trust and The Friends of Kinneil to run the festival. Plans have boosted by a cash injection from Awards for All in Scotland – supporting some of the core events in Bo’ness. The programme starts with Roman craft events for children in Bonnybridge and Bo’ness Libraries on Saturday, September 15, followed by a family-friendly Roman Encampment at Kinneil Estate, Bo’ness. Full details are now online at www.bigromanweek.org.uk Leaflets are also available from local outlets. The area’s tourism convener, Councillor Adrian Mahoney, has been helping to organise this year’s festival. “The Roman Week aims to make people more aware of our fantastic ancient history with lots of fun events for all the family,” he said. “This year’s programme is the biggest ever, thanks in part to generous funding from Awards for All and the support of bodies like Falkirk Community Trust and The Helix Trust. "Best of all, many of the events, including the walks, talks and Italian classes, are free of charge. I’d urge people to go along and find out about the history on their doorsteps." This year the Helix project – creating a new parkland around Falkirk and Grangemouth – has organised events to promote the Mumrills area, close to Laurieston. The site was home to a Roman fort. There are also plans to create a new piece of public art – called a Sentinel – in the Mumrills area, as part of the massive greenspace project. Helix project director Mike King said: "The Helix Project is a ‘living landmark’ – celebrating the changing landscape through the rich heritage of the area. "The Antonine Wall, as the northernmost frontier of the Roman Empire, represents one of the greatest living landmarks in the Falkirk Area. "The Helix is hugely fortunate to have part of the Wall and Mumrills Fort on its periphery – and we welcome this fantastic opportunity to be part of the Big Roman Week in 2012." Staff in Bo’ness Library have put on a display of Roman artefacts, complementing the permanent Roman exhibitions at Callendar House museum in Falkirk and Kinneil Museum in Bo’ness. Bonnybridge and Bo’ness Libraries are also staging free Roman craft sessions for children. 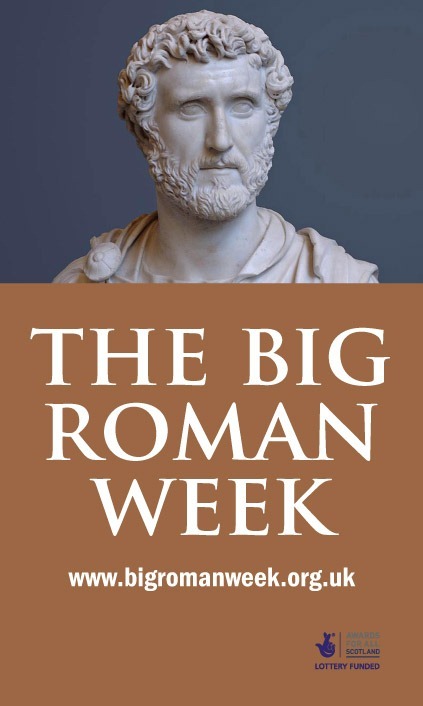 Lesley O’Hare, the culture and libraries manager at Falkirk Community Trust, said: "We are delighted to be a part of Big Roman Week. We hope the activities will promote not only the rich history surrounding the Antonine Wall, but also encourage the community to visit our museums and libraries to learn and participate. The Week will end with a guided walk to Kinneil’s Roman Fortlet in Bo’ness – led by Bonnybridge-born archaeologist Jim Walker. At the age of 15 he found a Roman altar which is now on display at Kinneil Museum. He’ll be supported members of the Roman re-enactment group The Antonine Guard and The Friends of Kinneil charity. Said Councillor Mahoney: “We hope people from across the Council area will come along and find out more about their Roman roots. For more information on this, or any of the other activities, visit the website at www.bigromanweek.org.uk"
Maria Ford, from Bo’net, the main organisers, added: "It’s been a lot of hard work pulling the events together. I hope people will come along and support them." This entry was posted in Uncategorized on September 10, 2012 by Friends of Kinneil.